ClickZ – SES: Managing Social Media. Roundup of social media sessions including Black Hat White Hat Social Media in which TopRank CEO Lee Odden participated. WebProNews – (Video) Embracing Real-Time Marketing. TopRank CEO Lee Odden is interviewed by Mike McDonald on the emerging trend in real-time marketing and the ClickZ “In the Now” panel with Technorati CEO Richard Jalichandra, Meebo COO Martin Green, YouTube Vice President Steve Grove and founder of Stwittergy, Ricardo Guerrero. jeffbulla’s blog – 9 Ways To Convince The CEO To Use Social Media and Enter The 21st Century. 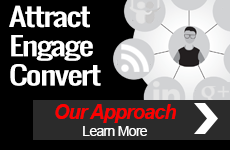 TopRank case studies for SEO and social media success were featured in this blog post. Geek Entreprenuer – How To Optimize Social Media. 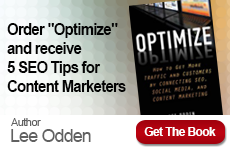 A TopRank Blog post on social media optimization was featured. Social Media Today – Thoughts on Black Hat White Hat Social Media. A TopRank Blog post was featured. Search Engine Journal – Lawsuits & PR Nightmares: Why Employees Need Social Media Guidelines. TopRank was quoted in this piece about the need for establishing employee social media guidelines. Search Engine Land – Social Media Marketing Basics: Facebook & Blog Promotion. 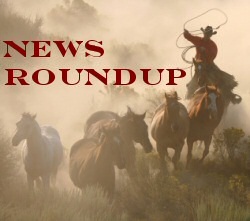 A TopRank Blog post was featured in the daily roundup of industry news. Search Engine Watch – Is Google the Lazy Man’s Marketing Method? TopRank Blog coverage of the Search Engine Strategies conference was cited in this article by Frank Watson on alternative online marketing methods to Google. Scrappy Marketing – Online PR – The Secret Sauce of Online Marketing. Tips from a TopRank Blog post on Blogger Relations was cited in this article about Online Public Relations. Social Media Biz – Social Media Marketing Basics: Facebook & Blog Promotion. A TopRank Blog post on social media marketing was featured on this social media marketing news site. SearchCowboys – Weekend Reading List. TopRank Blog was included in this recommended reading list for a post on how to stay current with search marketing tactics. SEO PR YouTube Channel – Lee Odden, TopRank Online Marketing, on YouTube Video Marketing: An Hour A Day. TopRank’s CEO provides a video testimonial for Greg Jarboe’s new book on video marketing. MIMA 2009 – MIMA announces the Summit speaker lineup at mimasumit.org. TopRank’s CEO was included in the mix of speakers for the upcoming MIMA conference, the largest interactive marketing event in Minnesota and TopRank’s blog is syndicated to the the MIMA Speaker feed. The Social Media Guide – Twitter Tips: The Ultimate Guide. TopRank’s tips on Twitter included in this comprehensive list of Twitter Resources. new influencer – Google News Search. TopRank’s liveblog coverage of SES San Jose, “News Search SEO” is cited in this post. ready 2 spark – Breaking the Blogging Rules. SEO. TopRank’s co-hosting and moderation of a recent #blogchat on Twitter was cited with a focus on specific tips for blog optimization and marketing.